Think about what your content looks like on the Dashboard. People find and follow what they love through their Dashboards, Strle said. In fact, for every four followers that reblog your content, six more non-followers will reblog it from them. Make sure to pay attention to how your posts look there, not only on your main Tumblr site. 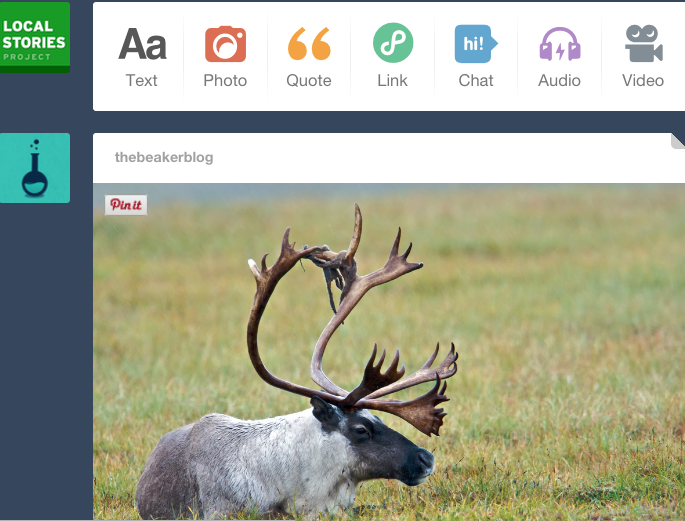 To see how a post looks like on the Dashboard, like it when you’re signed in and go to tumblr.com/likes. Don’t forget to change the default avatar and image and make sure you’ve changed appearance options on Dashboard, as well. Tumblr is a visual medium. Photos, gifs, photo sets, gif sets or video usually do better than text or link posts. Tagging posts is key to making sure content is discoverable, Strle shared. Tumblr’s search engine looks at tags to make posts discoverable. The first five tags are the most important, but use as many as you want. Want to talk with your followers? Turn on your ask page or take questions on the dashboard (do this by ending your post with a question mark). Make sure to promote this — don’t just expect people to ask you questions randomly. If you’re trying to think how to translate your station’s stories for a Tumblr audience, Strle recommended thinking about how you would tell the story to your friends. Is there a fascinating quote you can put on an image, a gif you can make out of a chart or a great image? Find inspiration for Tumblr from this list of public media using Tumblr.